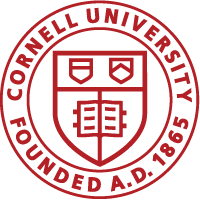 Cornell’s 2017-2018 supplemental Common App essay prompts are here! Whether you’ve already chosen which of Cornell’s seven undergraduate colleges and schools is for you or you’re contemplating which would be the best fit, carefully look over the options below. Allow yourself plenty of time to develop this short, but very important essay. You can find more information and a link to the essay instructions here. Enjoy! Cornell SC Johnson College of Business: Charles H. Dyson School of Applied Economics and Management: How have your interests and experiences influenced your decision to study Applied Economics and Management? Describe how you would take advantage of the Dyson School’s unique opportunities, for example, its affiliation with both the Cornell SC Johnson College of Business and the College of Agriculture and Life Sciences. Cornell SC Johnson College of Business: School of Hotel Administration: The global hospitality industry includes hotel and foodservice management, real estate, finance, entrepreneurship, marketing, technology, and law. Describe what has influenced your decision to study business through the lens of hospitality. What personal qualities make you a good fit for SHA?